For more than 130 years, Johnson Insurance has provided premium auto, life, and home insurance for Canadians. We have been growing exponentially since we’ve been in business, serving almost 1 million members and providing benefits. We have also been a member of the world recognized RSA Insurance Group since 1997. 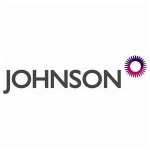 Johnson Insurance’s aim is to ensure you get the best insurance at the cheapest price. We want to be affordable for you and your family. Customer service is extremely important to us so you can always ask us your questions at any time of the day, everyday at 1-800-804-0087. We are also constantly giving deals to our members to support them. Some of these include Air Miles you can earn with us, and scholarships. We are located in Edmonton, Alberta and our office hours are Monday through Friday from 8:30 AM - 4:30 PM. For more information, call us at 1-877-787-0469.